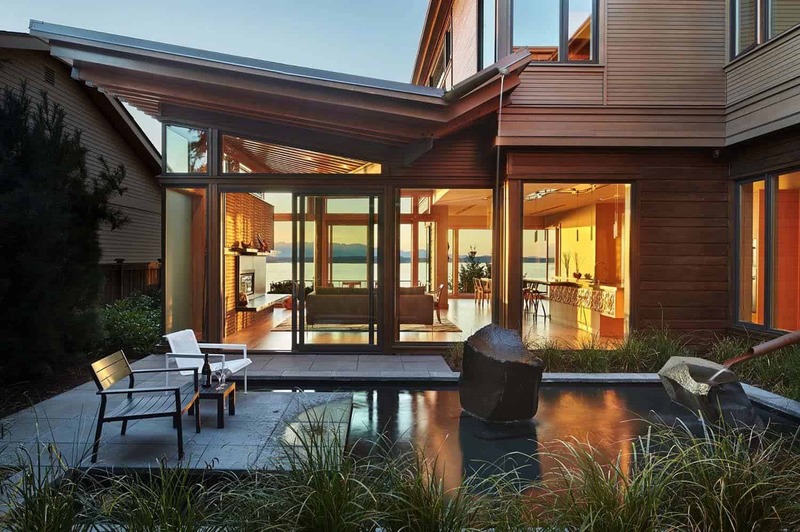 This energy efficient home on Elliot Bay is the imagination of FINNE Architects, nestled on a narrow plot offering sweeping views of Puget Sound and the Olympic Mountains in Seattle, Washington. 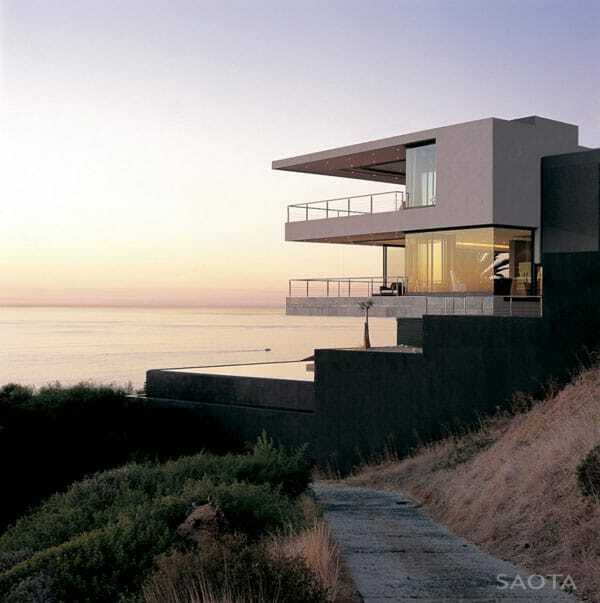 When designing the home, the architect took into consideration the narrow property, surrounding views and his clients (a couple of empty nesters) affinity of the outdoors as well as a keen passion for sustainable design. 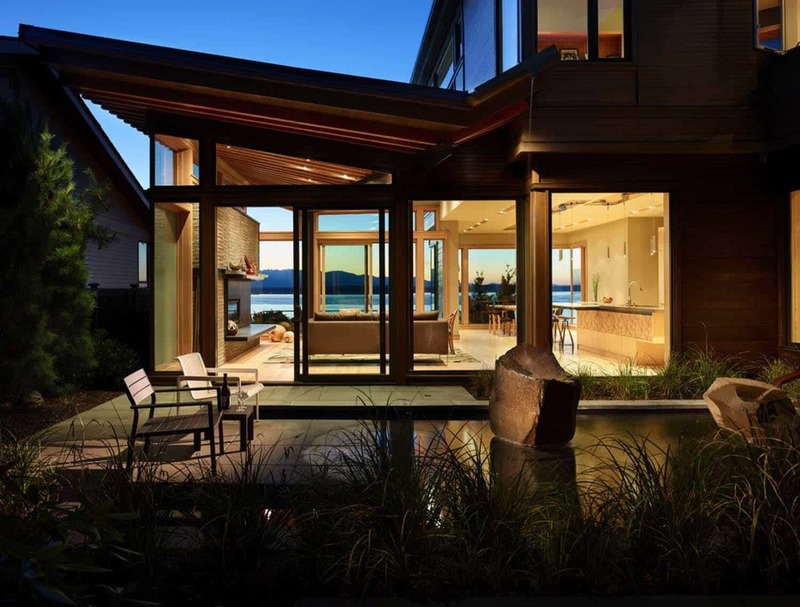 The residence was crafted into a contemporary home that is warm and welcoming and honors its native surroundings. 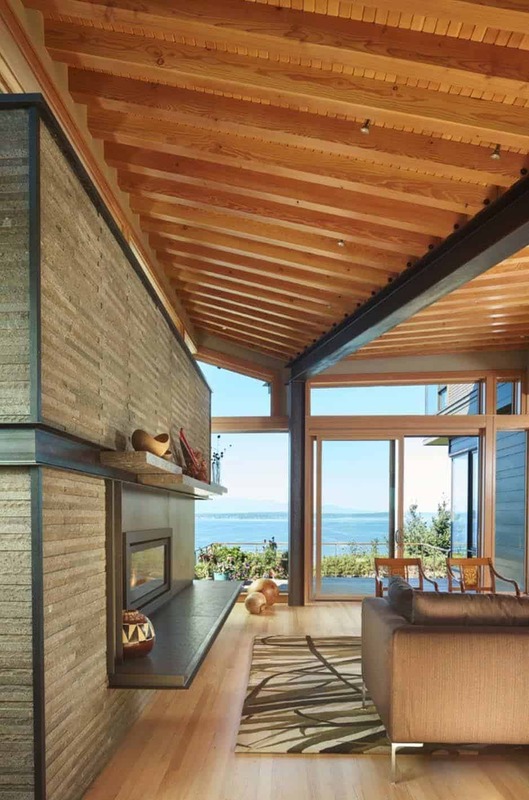 From the exterior of the two-story home, the architect applied two types of siding, with the first level being clad in a darker cedar that is wider and more broadly spaced, anchoring the dwelling. 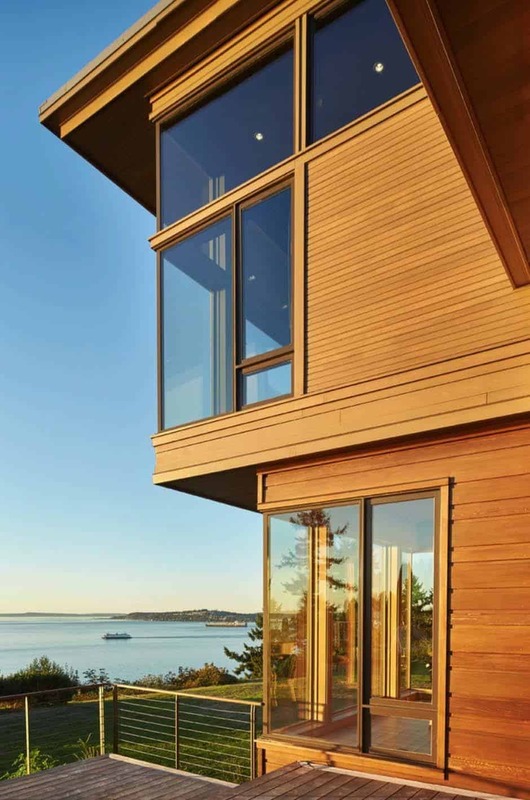 The second level features cedar as well, but is a lighter shade and more narrow, with tongue and groove boards creating a tighter aesthetic. The interiors are comprised of 3,600 square feet of living space with three bedrooms and three-and-a-half bathrooms. 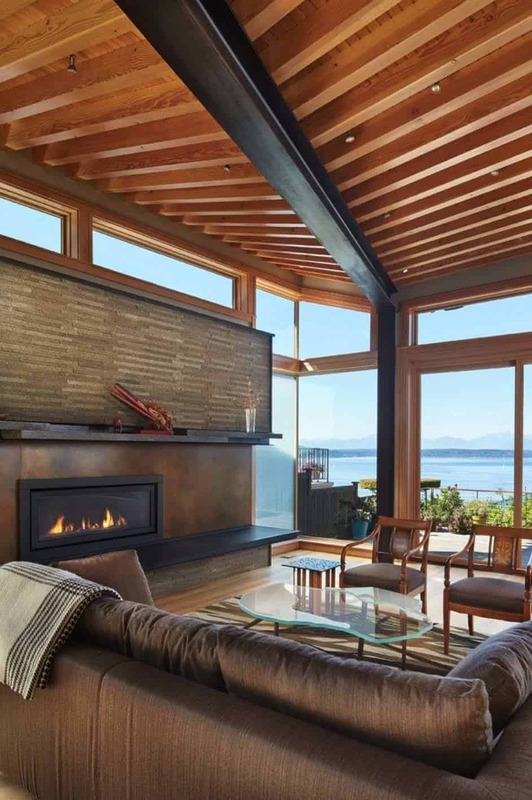 The living room features sweeping views over Puget Sound and the Olympic mountains in the distance. 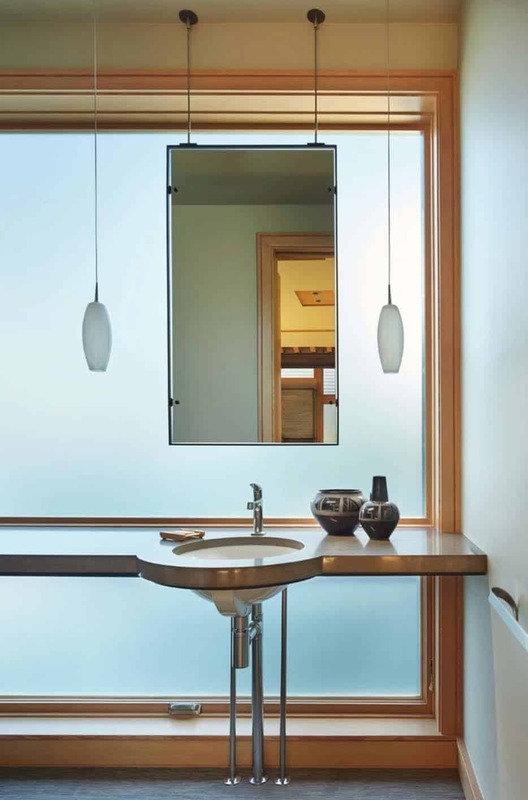 As you will notice throughout the interiors, the architect applies what he likes to refer to as “crafted modernism”. This is where modern day technology and hand drawing are combined to create a quality aesthetic that is unique to each individual space. 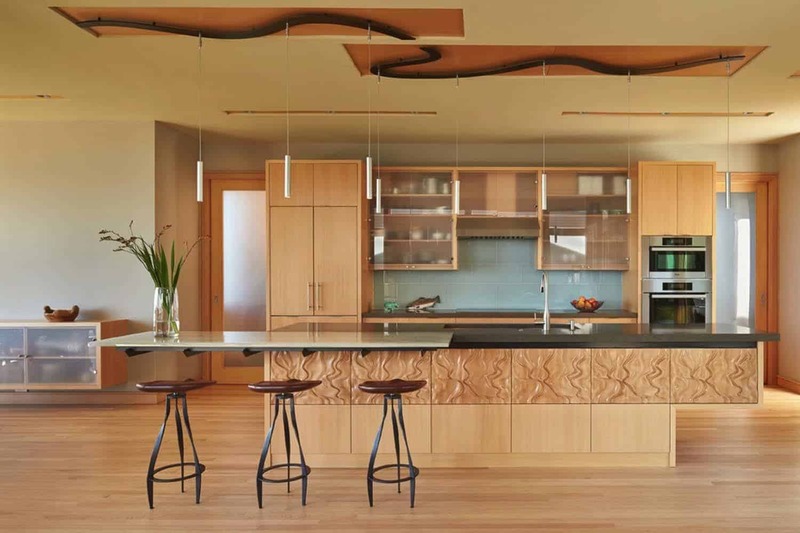 Nature is the reference point to where the architect draws on his inspiration to create patterns designed by a CNC machine that are repeated throughout the home, creating harmony and visual interest. 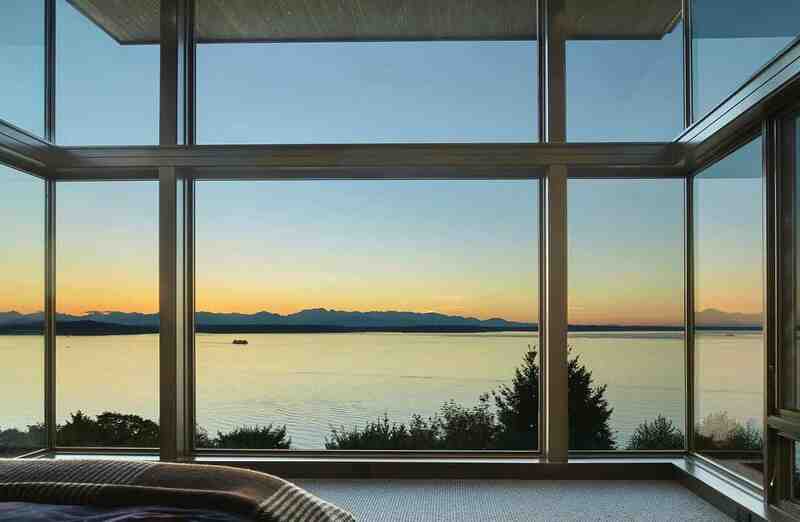 What We Love: The home feels so restful, between the design and the surrounding property and views. 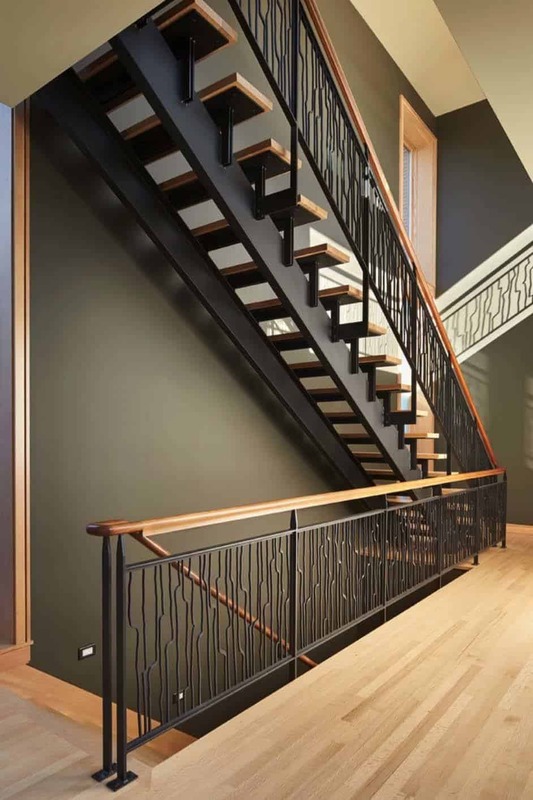 There is an impressive amount of attention to detail that went in to both the exterior and interior design elements. 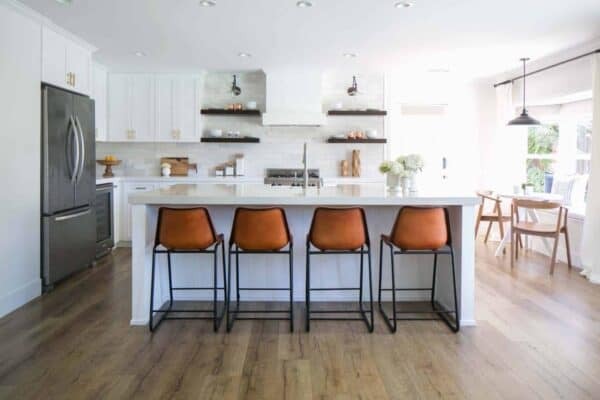 Not only does the home compliment its the beautiful surroundings, the interior and exterior seems to seamlessly connect, leaving you with a sense of place. Truly inspiring! 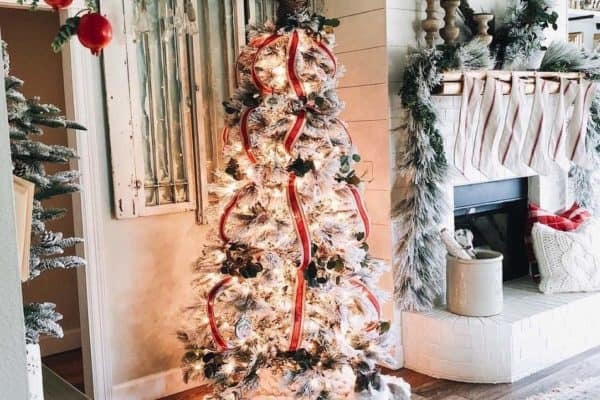 What do you think of this home tour? 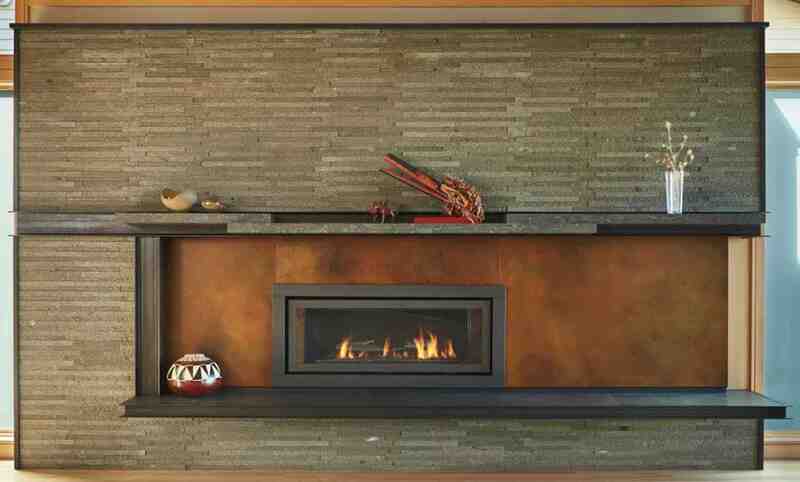 The fireplace wall is comprised of textured basalt, while the mantel is made up of limestone slabs. 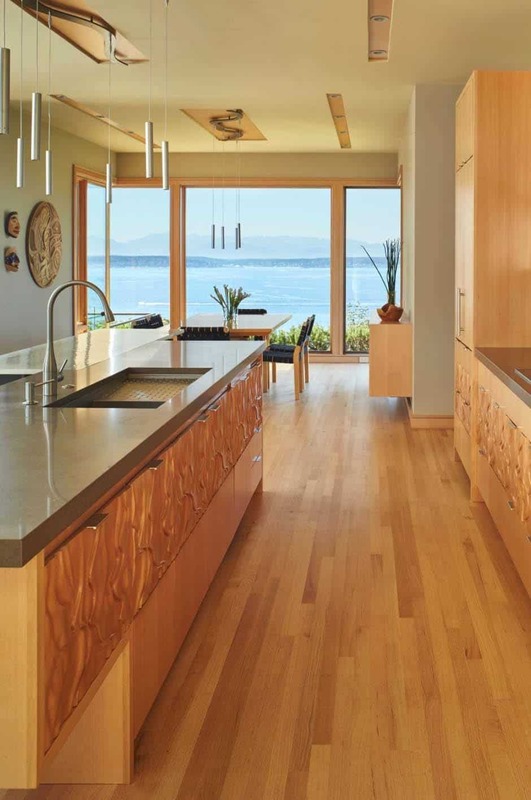 Red oak floors flow through the entire first floor, adding warmth to the main living spaces. 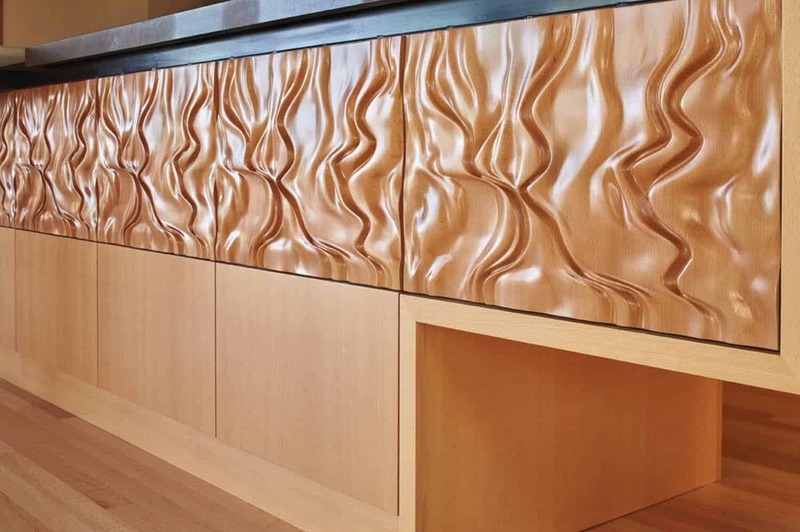 Close-up detail of the custom designed accent panel on the kitchen island. 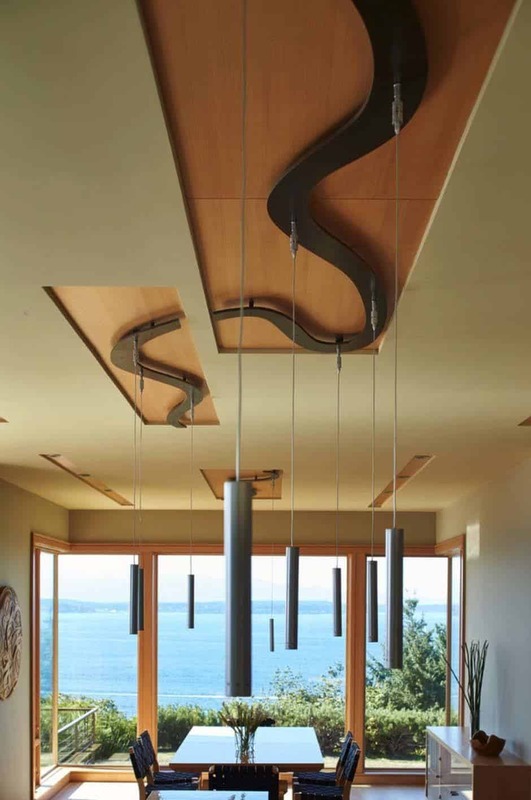 The ceiling above the kitchen and dining area features custom designed metal pieces, inspired by the landscape, which are connected to recessed wood. 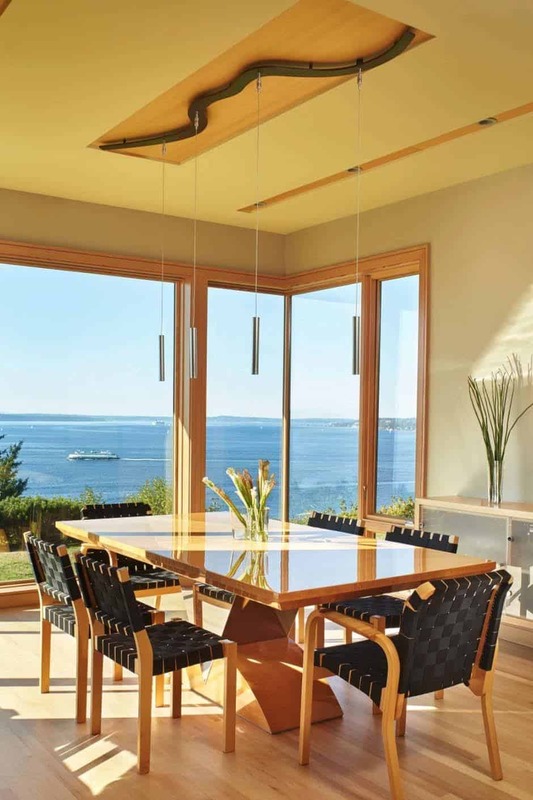 Pendant light fixtures are suspended from the metal at varying lengths, leading your eyes towards the windows and beyond to the heavenly waters of the bay. 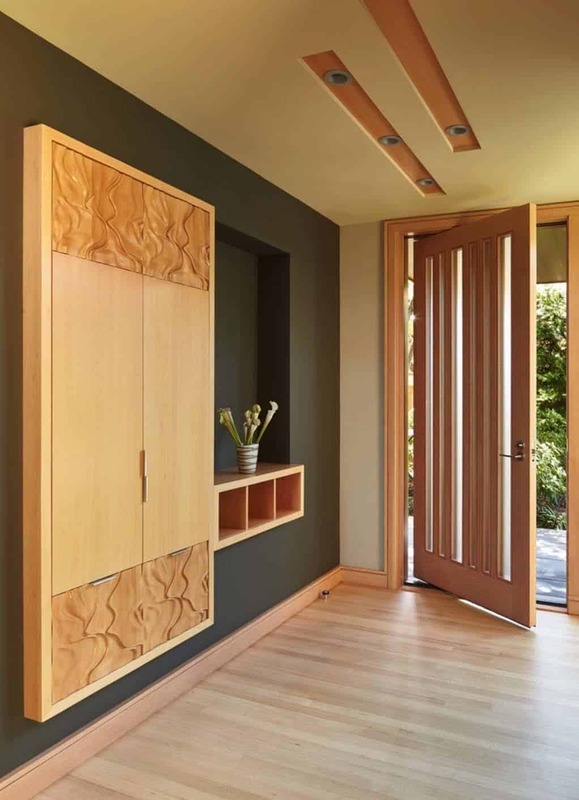 The entryway features a custom designed armoire embedded in the wall instead of a traditional coat closet, which houses coats and bags. The idea was to create more of an attractive piece of furniture in this space, to make it more inviting and add warmth. 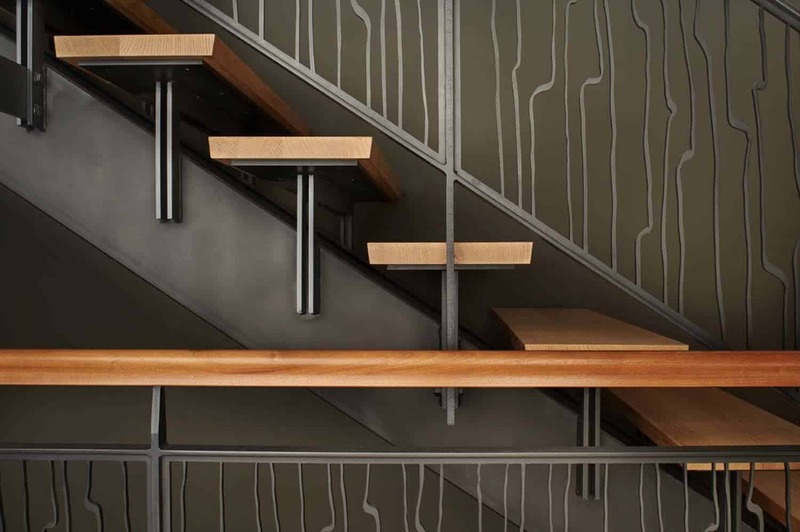 The eye-catching steel and wood staircase features water jet-cut steel railings, where the pattern was hand drawn by the architect from ink brush strokes. 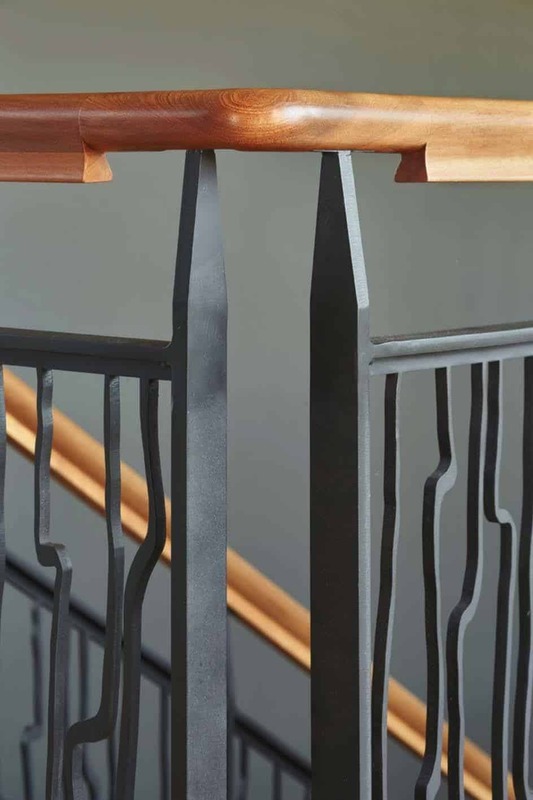 You will notice that this same pattern has been repeated in the steel gate entryway to the home in one of the later images if you continue to scroll down the page. 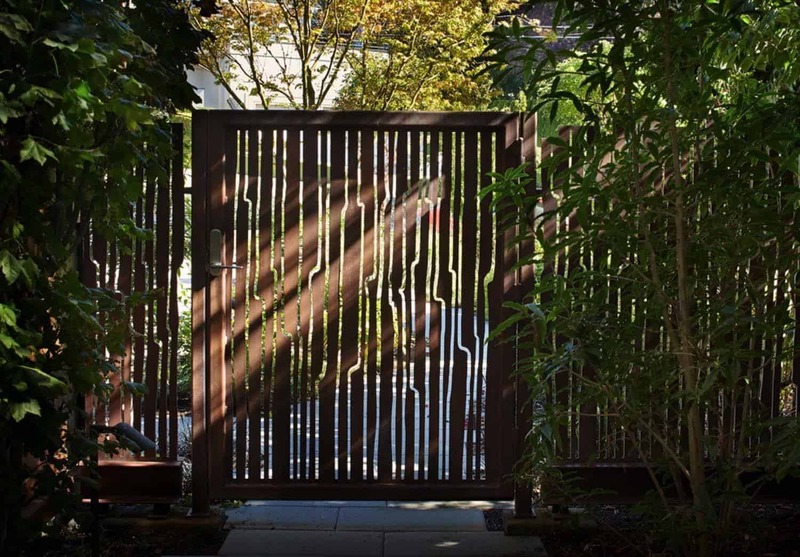 The architect designed the rusted steel entry gate by creating a hand-drawn ink brush pattern that you see in the above image. 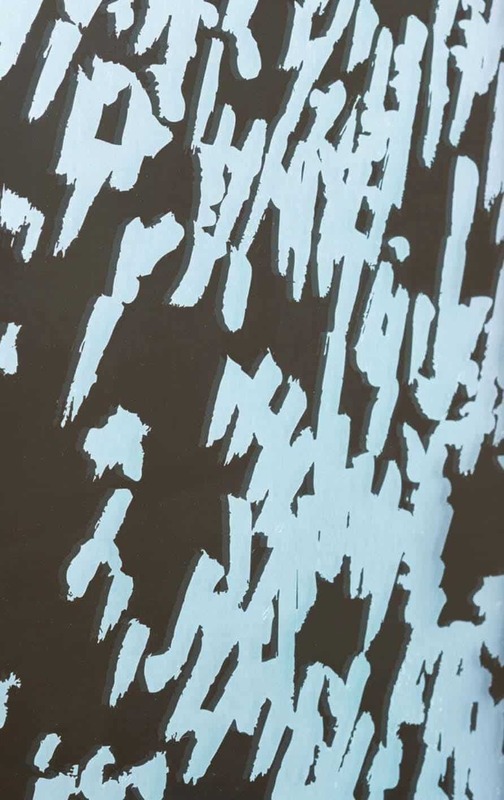 It was then water jet cut into the steel, creating a unique, intricate pattern. 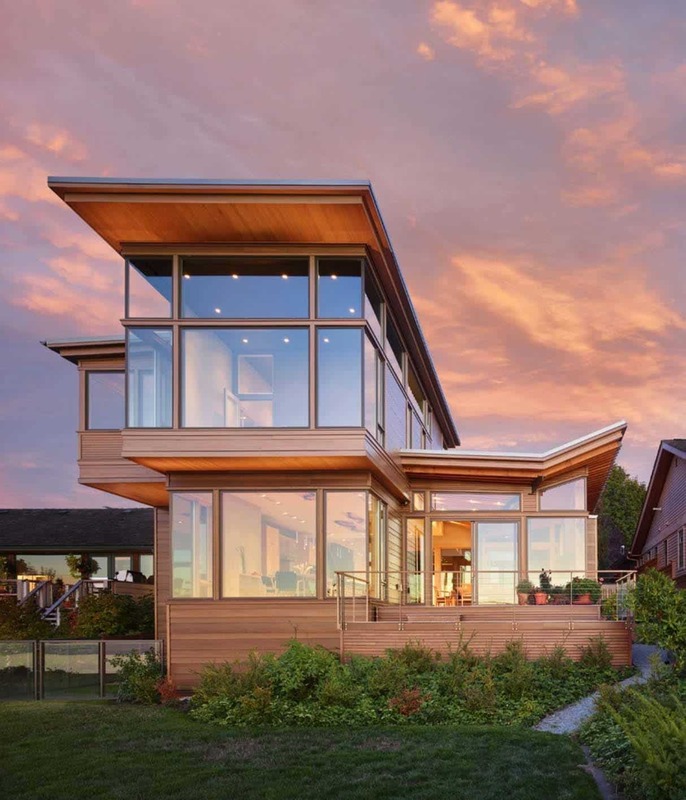 Sustainable features includes generous windows and doors that allows natural light and ventilation to pass through the home; large overhangs prevent the sun from overheating the home while also allowing for rain protection. 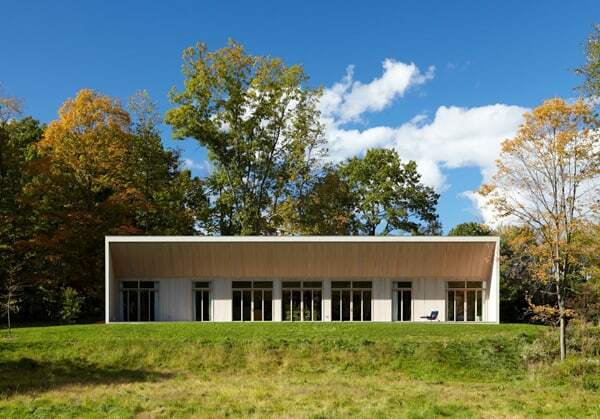 Additionally, the floors provide a radiant heating system, walls are insulated at 40% higher than code; the wood used throughout the interiors is FSC certified. 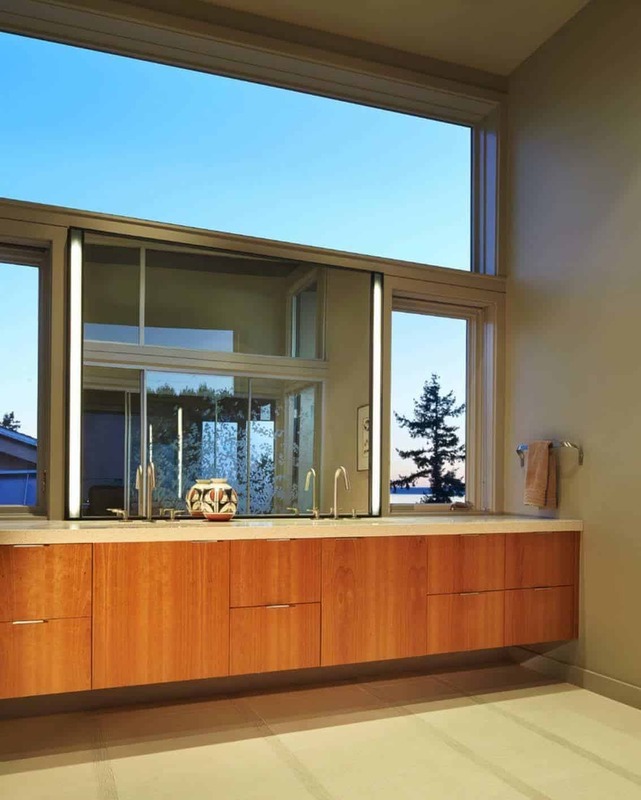 LED lighting has been used throughout, as well as low-flow plumbing fixtures. The roof of the house has also been pre-wired for photovoltaic panels and in the garage there is a charging station for an electric vehicle. The property also features a quiet courtyard with a reflecting pool. The pool collects all the rainwater from the roof drainage system, while the scupper from roof off the living room drops water down in a 10 foot waterfall! There is also a system installed that can keep the water flowing on days that are dry.